Trump blocked me on Twitter. But for democracy's sake, we can't ban him. Twitter is one of the closest things we have today to a de facto "public space" on the internet. A little over six months ago the President of the United States of America blocked me on Twitter. He or his people decided — over the course of one weekend in June — to purge those of us who had been fact-checking him online. By Monday morning, most of us were gone forever. In a normal administration, a fairly minor micro-scandal like that might represent the high-water mark of public interest in the president's social media life. Even in this case, there's more to the story than perhaps meets the eye — blocking critics from official public fora could arguably be illegal — but still, I can't imagine any previous president spending much time worrying about the effects of Twitter on their agenda. But things have changed. Today, the censoring of President Donald Trump's critics represents only the tiniest part of the Trump and Twitter love story — a never-ending 24/7 horror show focusing on and around a profoundly irresponsible and incompetent man's willful and occasionally terrifying use of social media. Let's review: Trump — in the last year alone — has used Twitter to systematically lie to the American people, attack the very idea of the free press, undermine public trust in America’s core institutions, underplay racist terror acts, support alleged child molesters, call himself a genius, alienate America's allies and perhaps worst of all taunt the world's most autocratic and unstable nuclear power. It's no wonder that so many activists now argue that Twitter has a moral responsibility to ban the president. 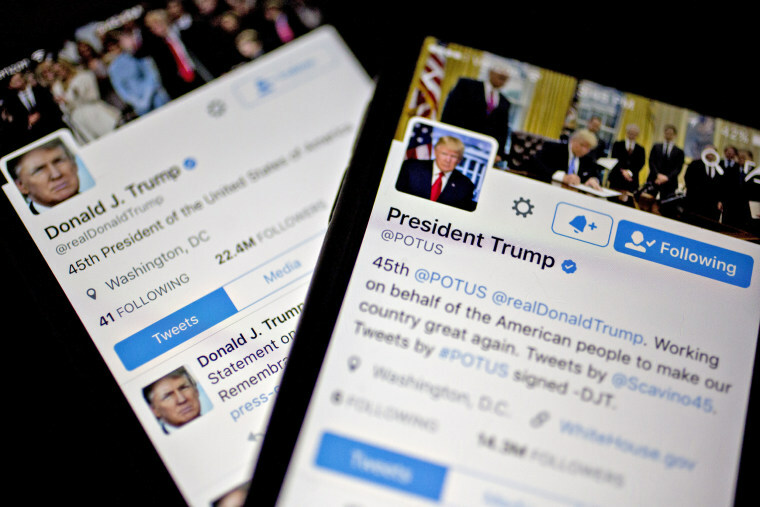 They also said that Twitter's founder Jack Dorsey — by creating a space where Trump could circumvent normal media checks and balances — had directly contributed to the president’s rise to power. Enough is enough, they argued. Ban this man. I have a lot of sympathy with this argument. I also know some of these activists personally and they are honorable and decent people. But ultimately I believe Twitter must fight to keep Trump on the platform. For good or ill, Twitter is one of the closest things we have today to a de facto "public space" on the internet. I believe we need such a space. And I believe over the last couple of years, under extraordinary (if deserved) pressure, Twitter has just started to really understand the full range of responsibilities that occupying such a role entails. One of these responsibilities is to provide a space for the political discourse of a country to play itself out. These are the spaces we now use to debate the issues, to campaign and — now — even to discuss and announce policy. Ideally they wouldn’t be spaces owned by for-profit corporations, but truly public places with rights and responsibilities defined and protected by law. But the U.S. government has shown no inclination or ability to fund or build or run such places, so instead we are where we are. And where we are is in a country where almost half of the electorate voted for Trump. He did not organize a military coup. It wasn't a massive administrative error that secured him the job. It was, as much as some people may dispute or dislike it, the will of the people. And until such a time that he's removed from office, if Twitter is to remain the de facto public space we all need, the will of the people matters. If Twitter is to remain the de facto public space we all need, the will of the people matters. I'm not going to pretend there isn't realpolitik in play here too. Let's face it: Banning the president from Twitter would not remove his platform, he'd simply move to Snapchat, or Facebook or Ello. And if he were banned, the partisan outcry over the decision would probably rend Twitter in half in the process, potentially killing the product and the company in the process. There are no victories there. Because in the end, the only victories can come from the same processes that got us here. We need to take responsibility as an electorate. If we want him to stop debasing the presidency on Twitter, we need to remove him from the presidency, not remove him from Twitter. We need to support our courts in the fair implementation of the law. And we need to hold our elected representatives to account as they attempt — in turn — to keep Trump from going off the rails. Meanwhile, there is something we can ask of Twitter. We can ask them to be clear about how they see their role in the world. We need to know what they believe in; what they stand for. We need them to demonstrate that they fully understand they're not simply a neutral communications mechanism. Today's Twitter is a place where business happens, elections happen, government happens — and with the arrival of Russia onto the scene — international tensions play out. We need Twitter to show us they understand this and that they're up to that challenge. And perhaps we can ask them one more tiny thing — to review their policies on politicians blocking or banning users engaged in legitimate, non-abusive political debate. Twitter’s own statement stood up for “necessary discussion around [politicians’] words and actions, but we can’t have that discussion if those politicians shut us down. And in this post-truth world, we need all the help we can get. Tom Coates is an entrepreneur and technologist who has developed software products for the BBC, Time Out, Yahoo, Nokia and Jawbone among others. Over the last 20 years he’s written and spoken extensively about tech culture, social platforms, location and the Internet of Things and his work has been featured on the BBC, The Guardian, New York Times, MIT Technology Review and in the Daily Mail. His most recent project was the smart home software company Thington, which was acquired last year by eero inc.